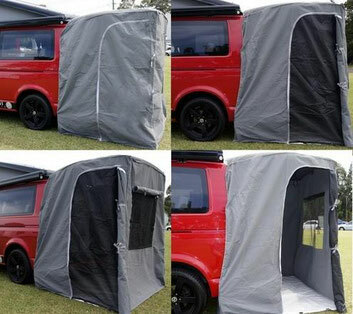 Van tents: This is a real easy way to add on some extra room to the vehicle. 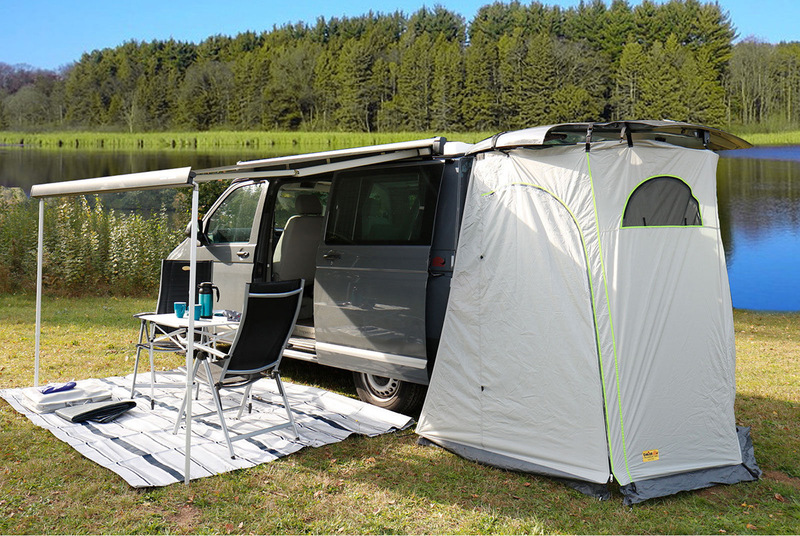 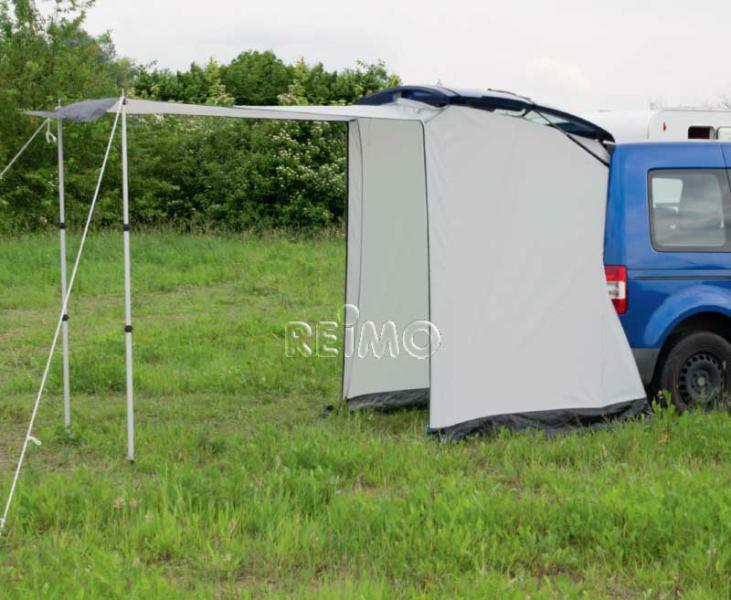 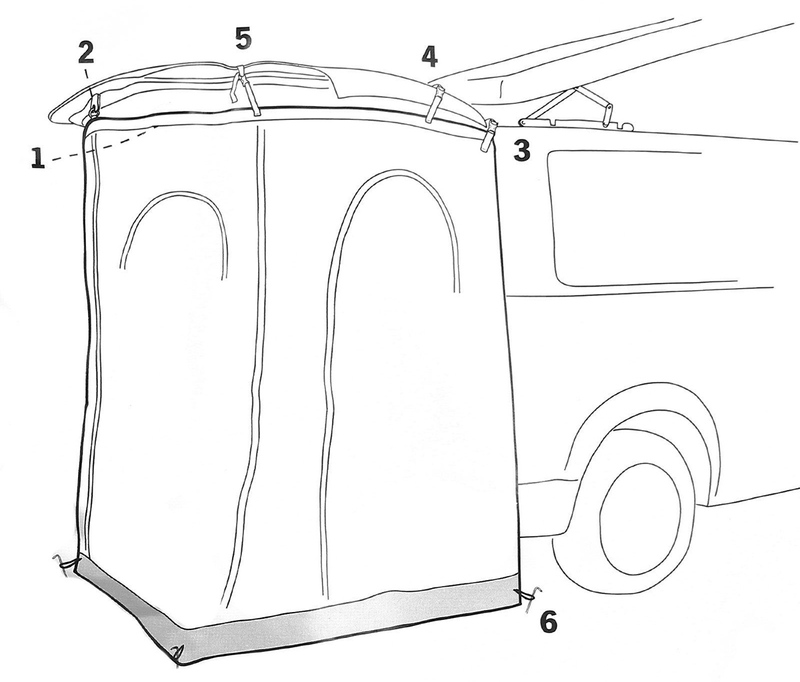 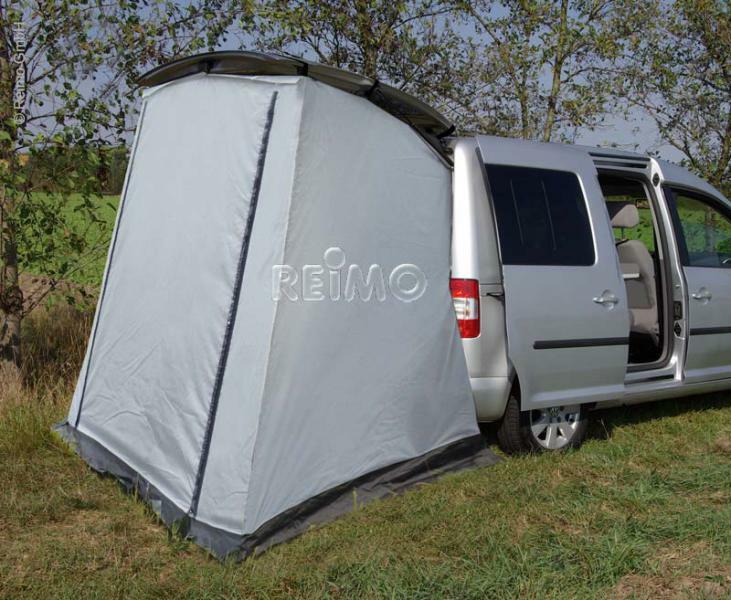 A tent for your van can be used in many ways, such as using it as a exchange or shower room - for vans having a shower installed at the rear. 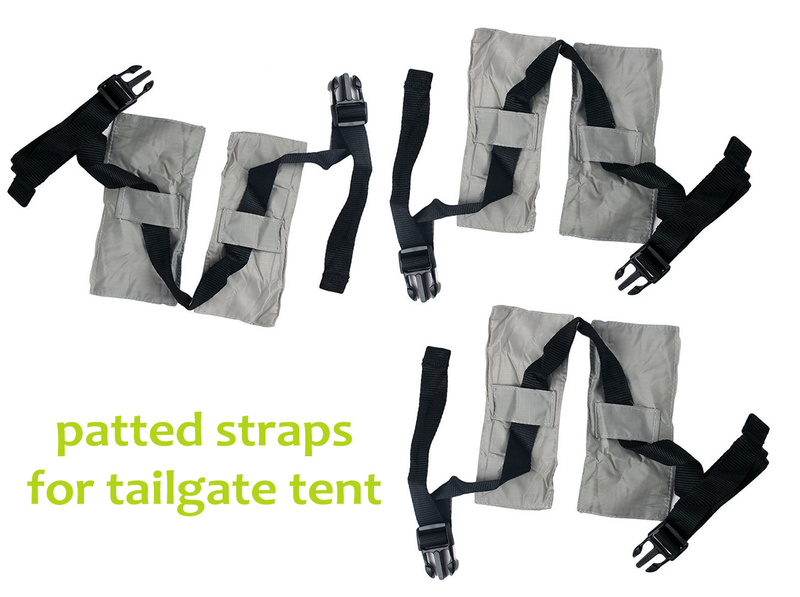 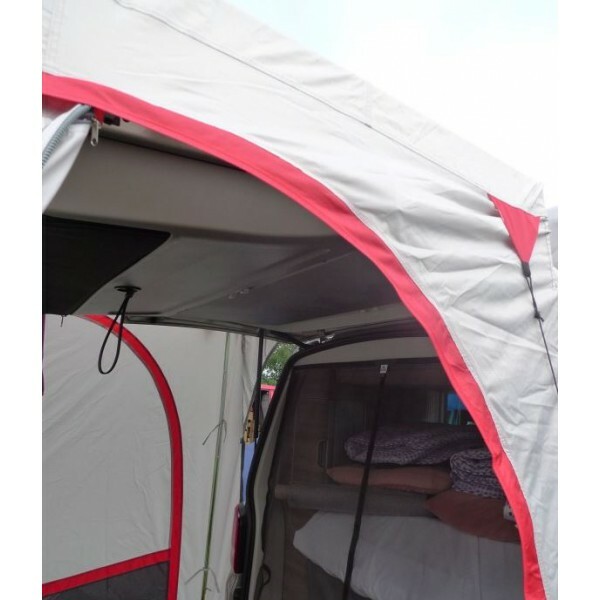 Also very useful when you have a set up with a rear/ outdoor kitchen as the tailgate tent can be your sheltered extra space. 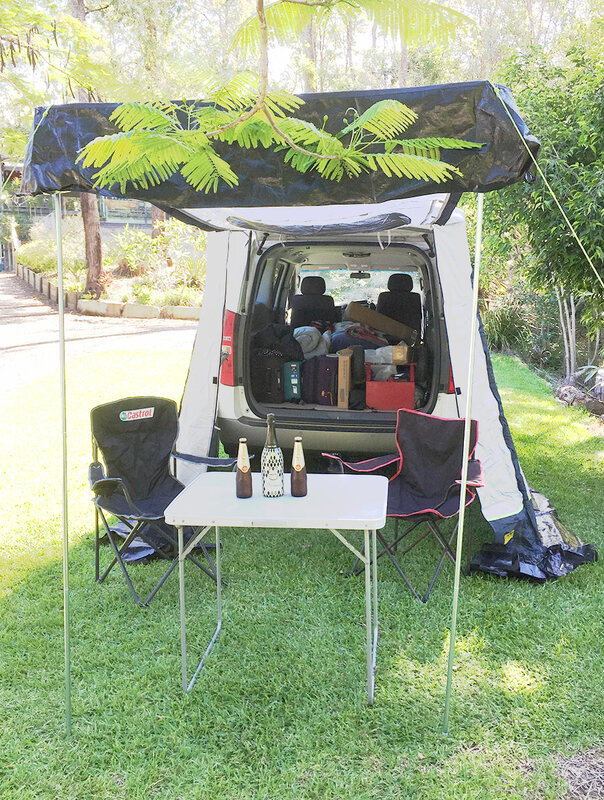 The freestanding tent is most suitable for people who set up the camp and staying for a few days- the tent can be used to secure your campsite and can be left in behind while you going for a drive. 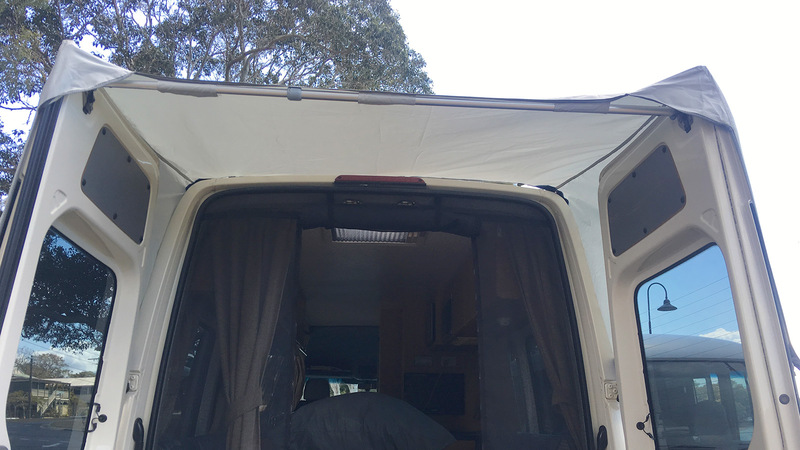 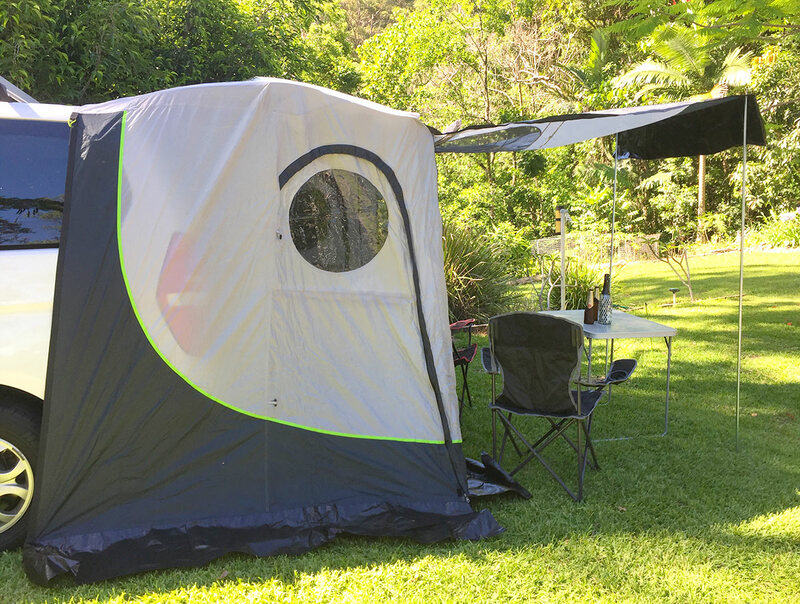 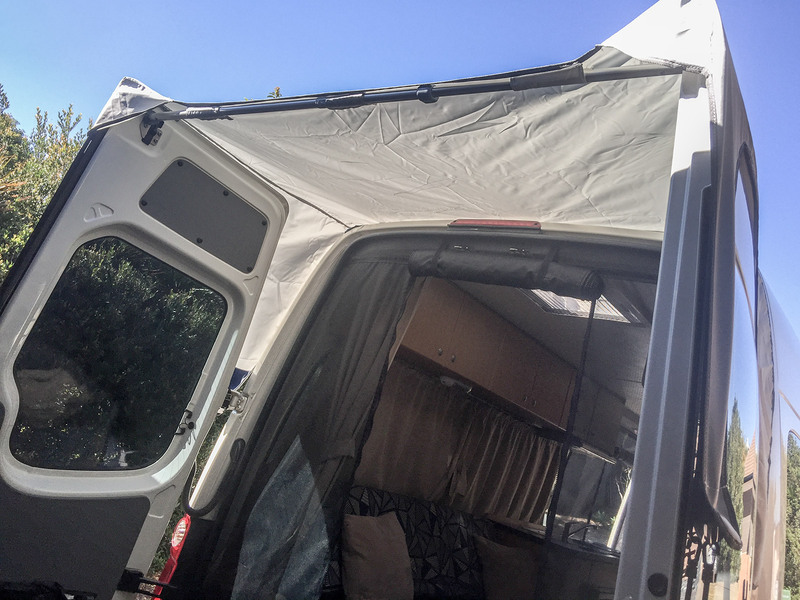 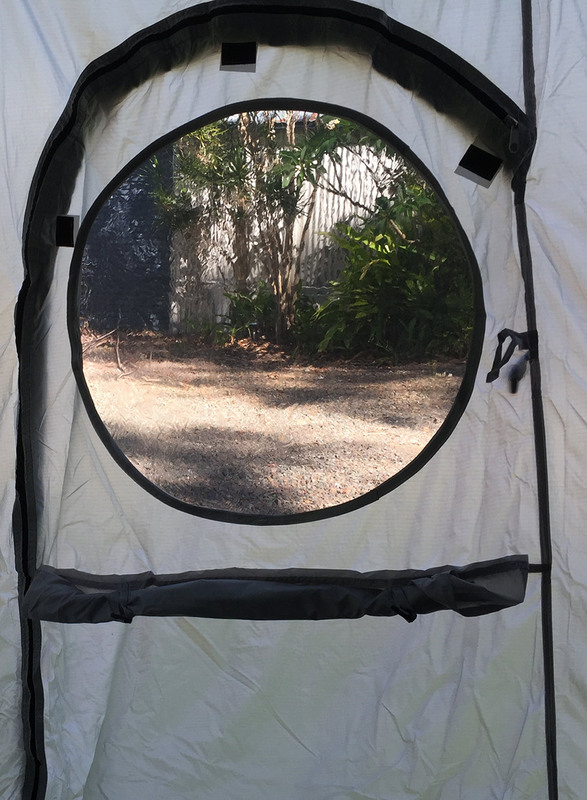 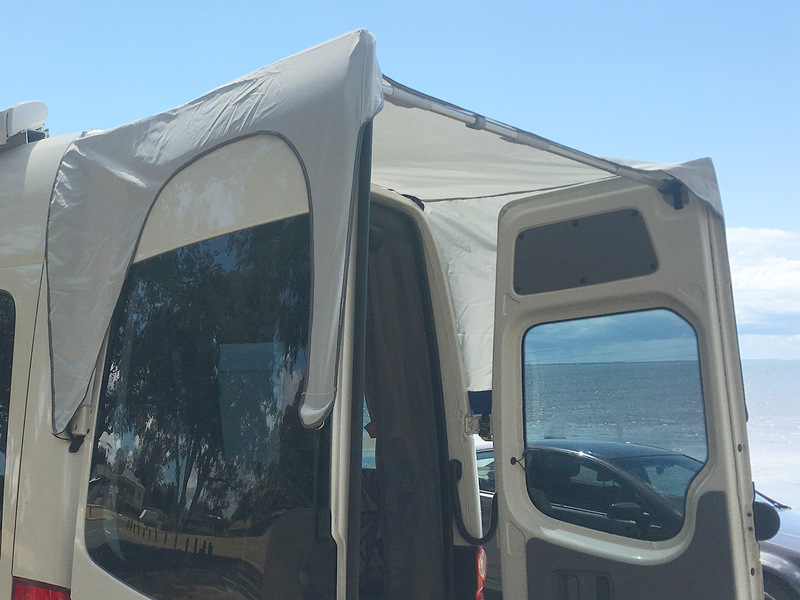 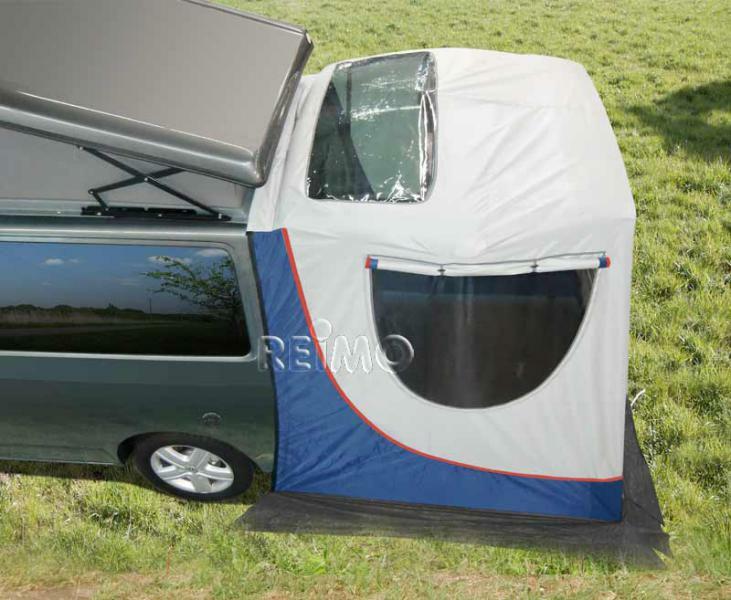 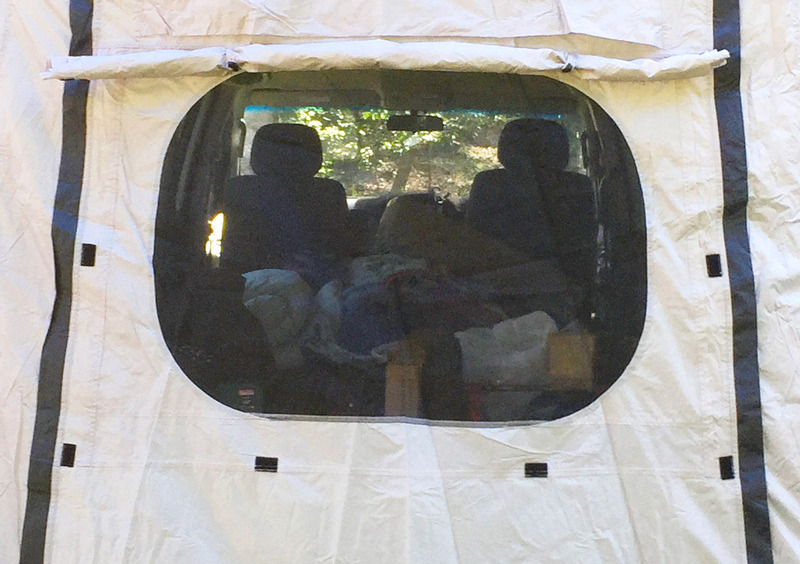 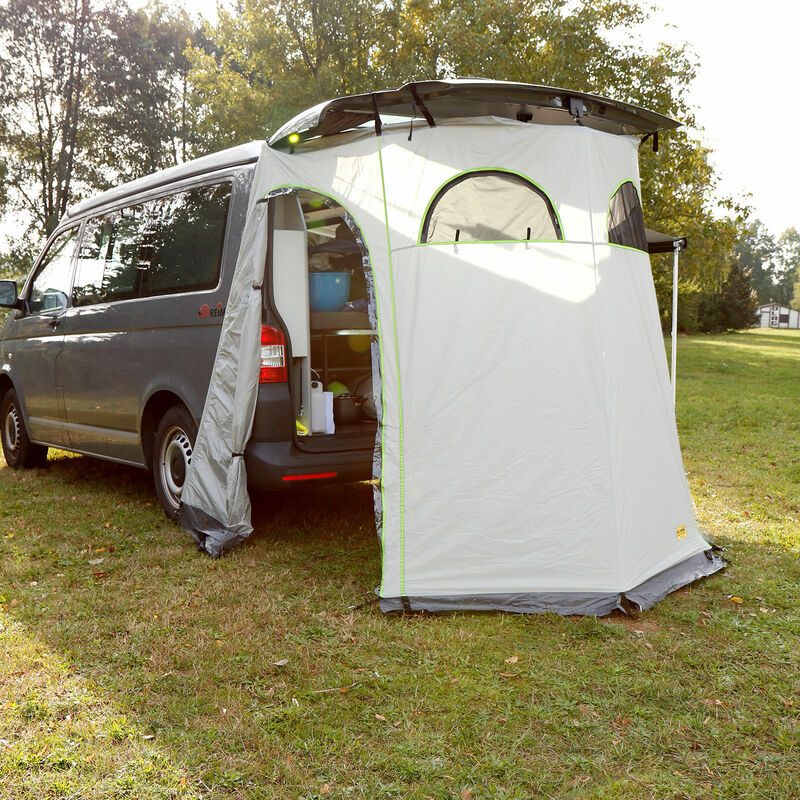 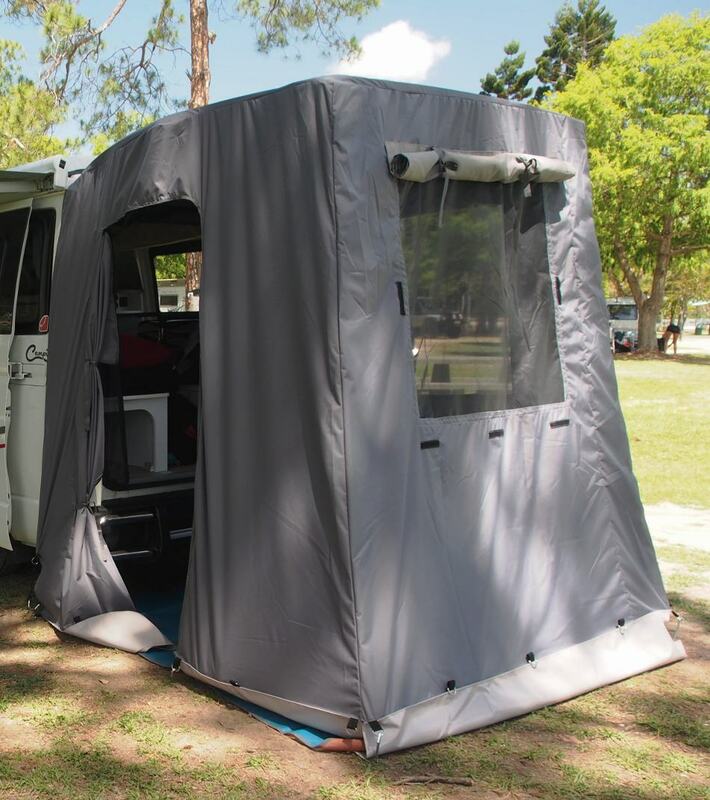 The Hiace tent is made to order in Australia and from lightweight but durable rip stop material, featuring large screened windows for ideal air flow. 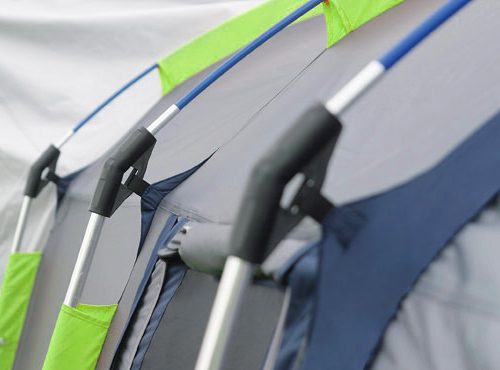 Note: All tents shall be used in good or reasonable weather conditions.Make sure your secure the tents proper to the ground. 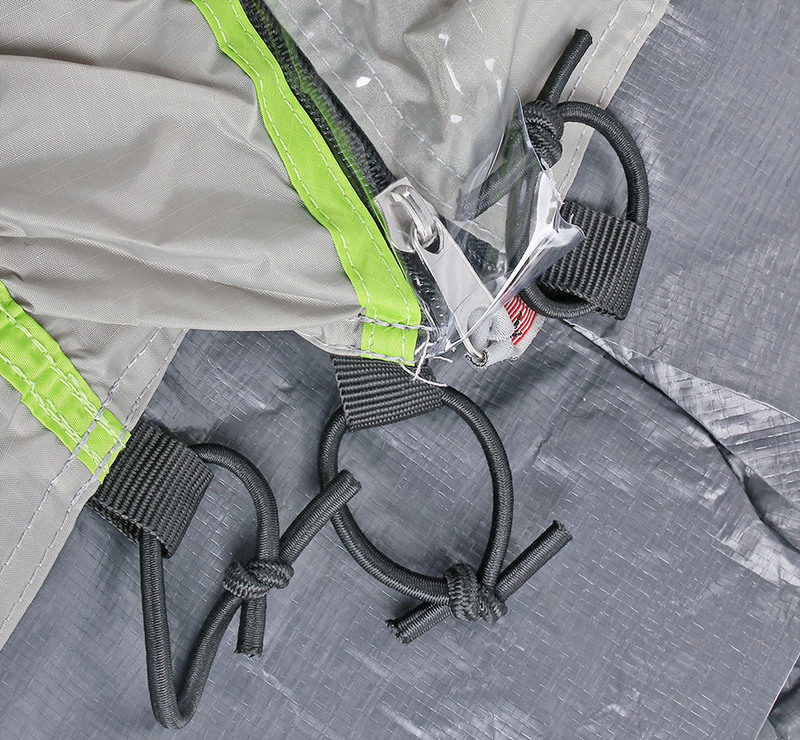 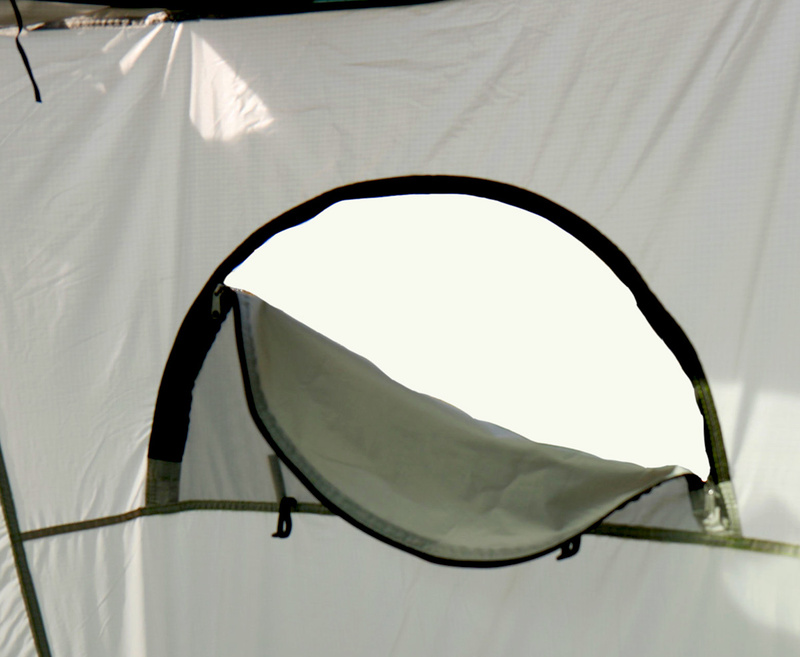 A spray of rain is no problem- however in case your facing weather or heavy rain its recommended to take your tent down. 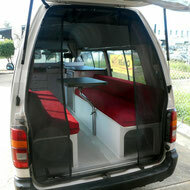 Tailgate and side tents to suit various camper-vans and and people movers with tailgate set up. 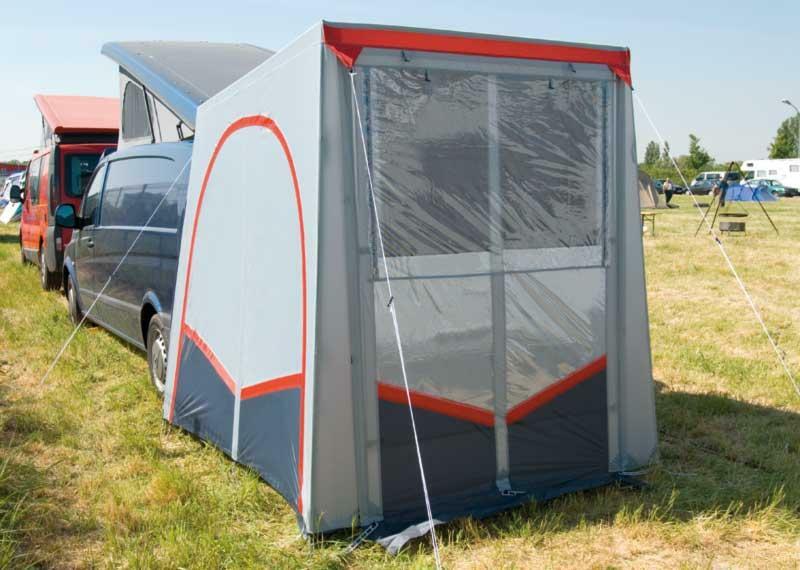 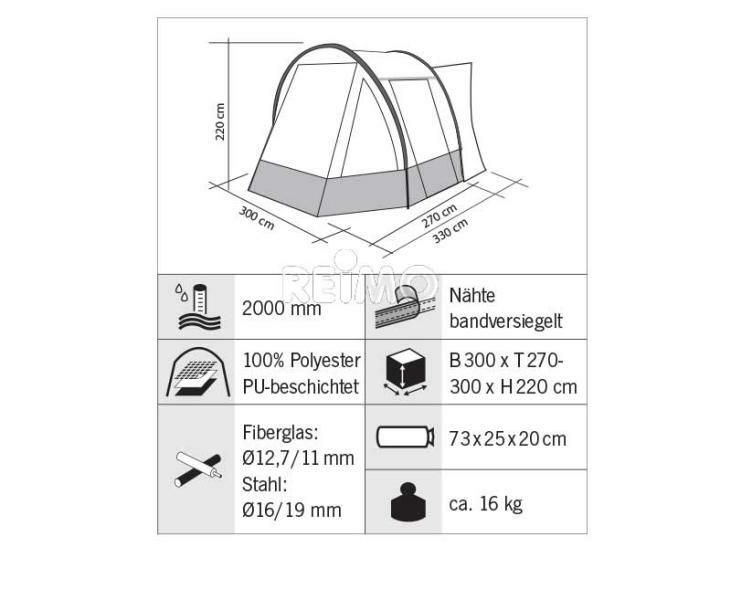 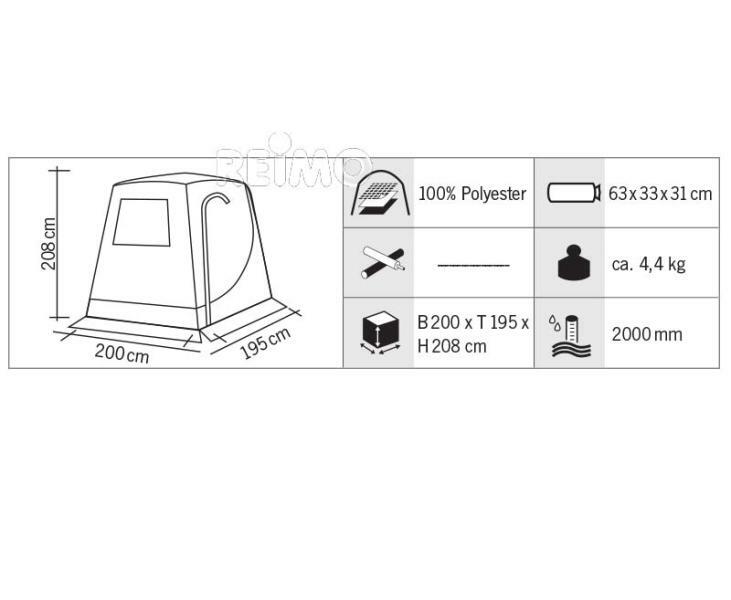 Please choose from the drop down menu your favorite tent for your van. 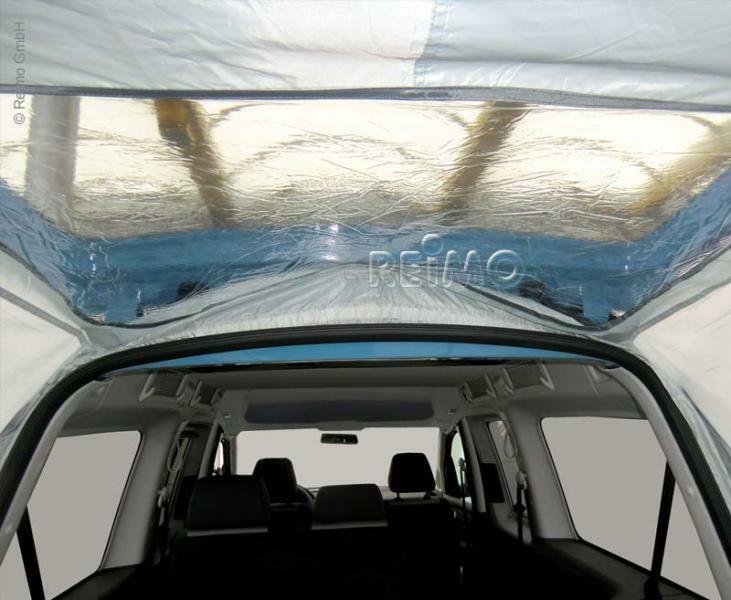 Other vehicle brands and models on request- please contact us. 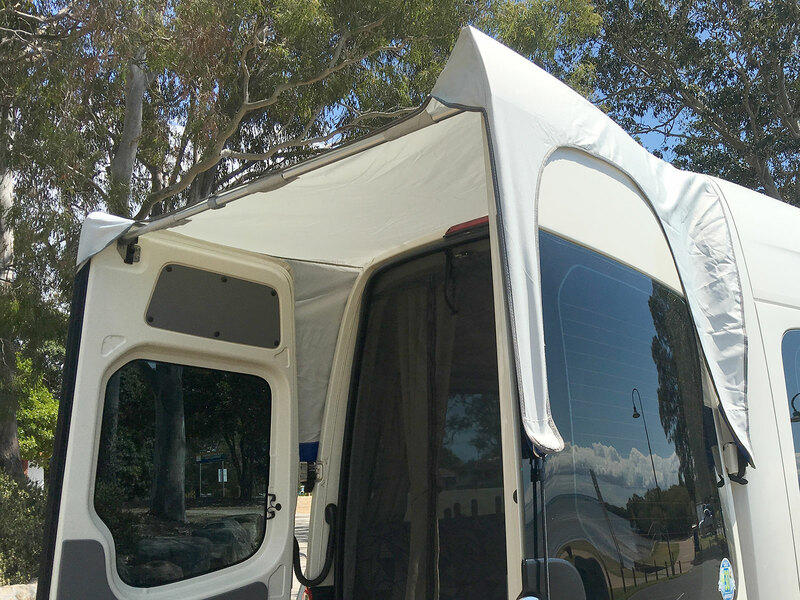 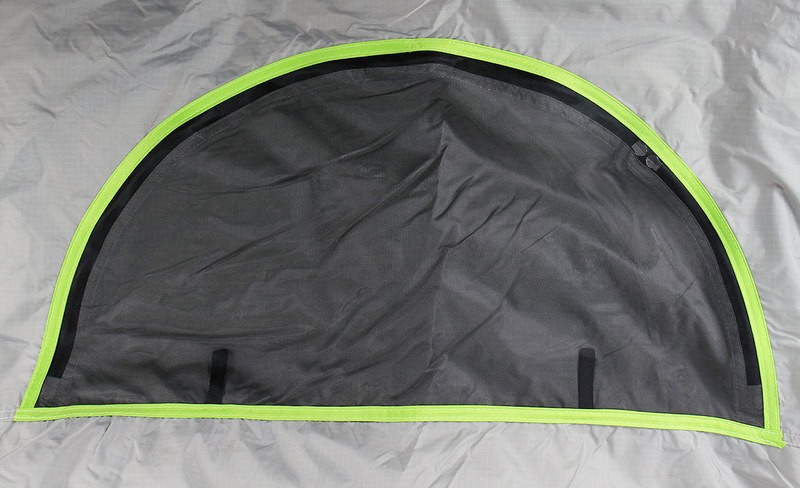 Freestanding rear tent - "drive away"
Made in Australia 2-3 weeks delivery time!! 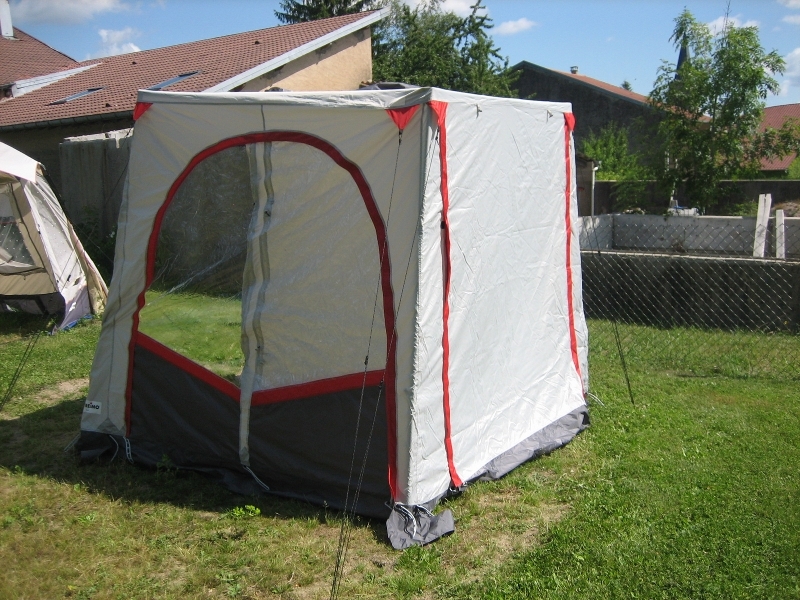 Set up time 15-20 minutes. 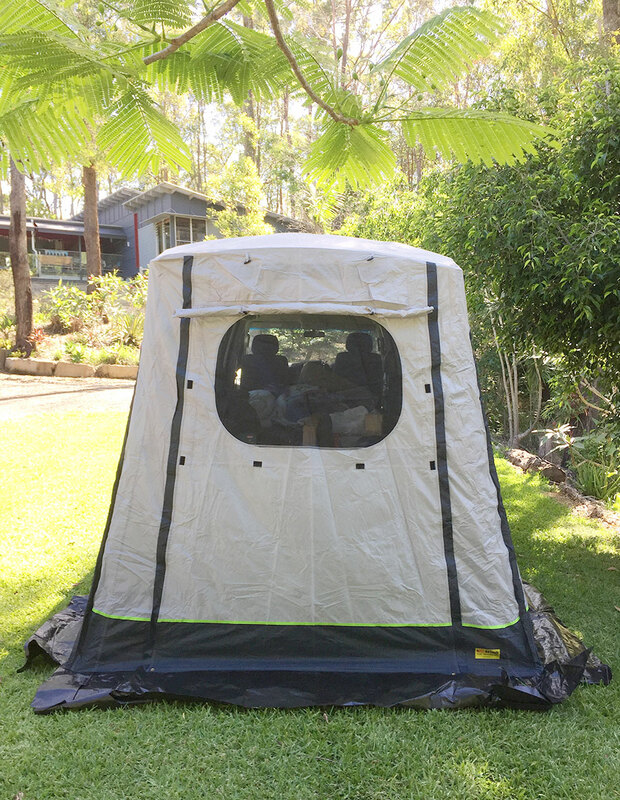 Very durable, sturdy Canvas tent with one large 90cm window and a passenger side roll aside zipped door entry both with mossie screens to keep the bugs outside. 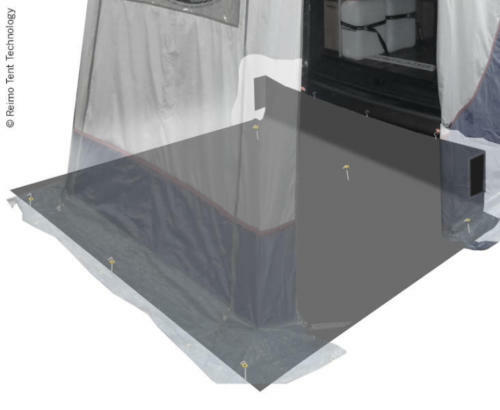 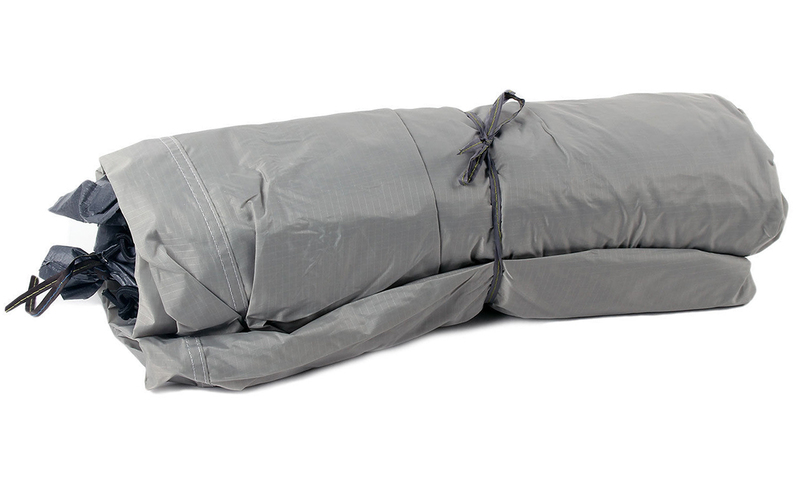 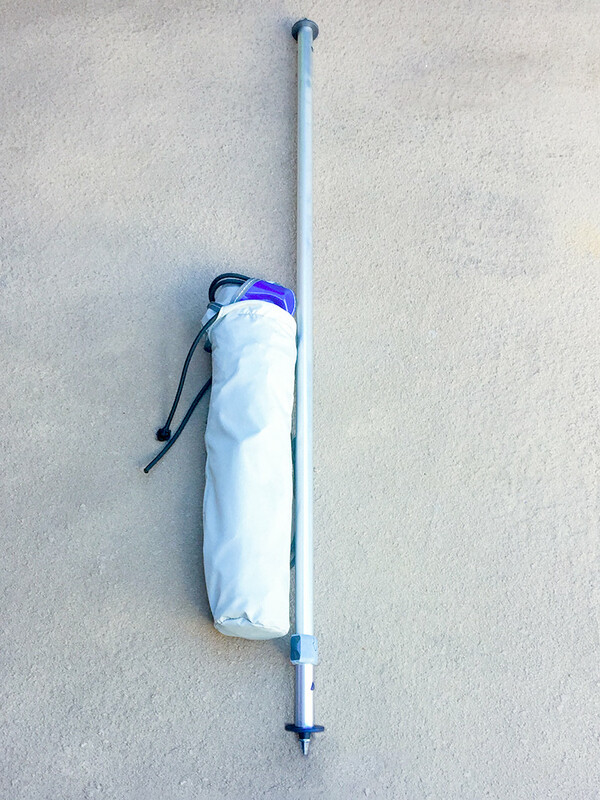 Extend you room to use as shower tent or extra privacy space. 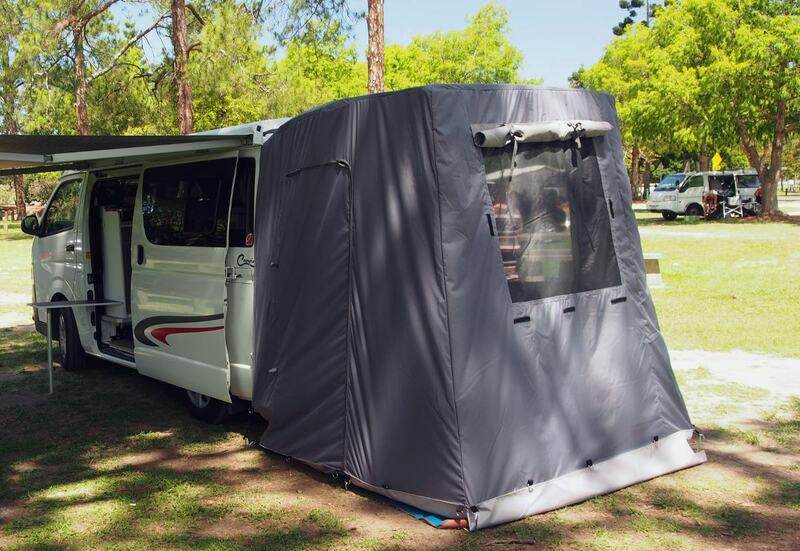 Finally, a solution for extra shade and protection from sun and light rain. 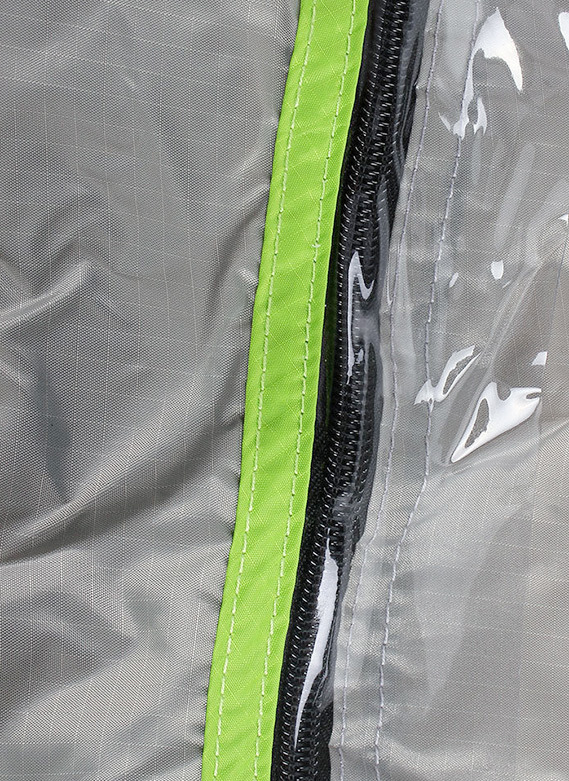 Durable, high quality material. 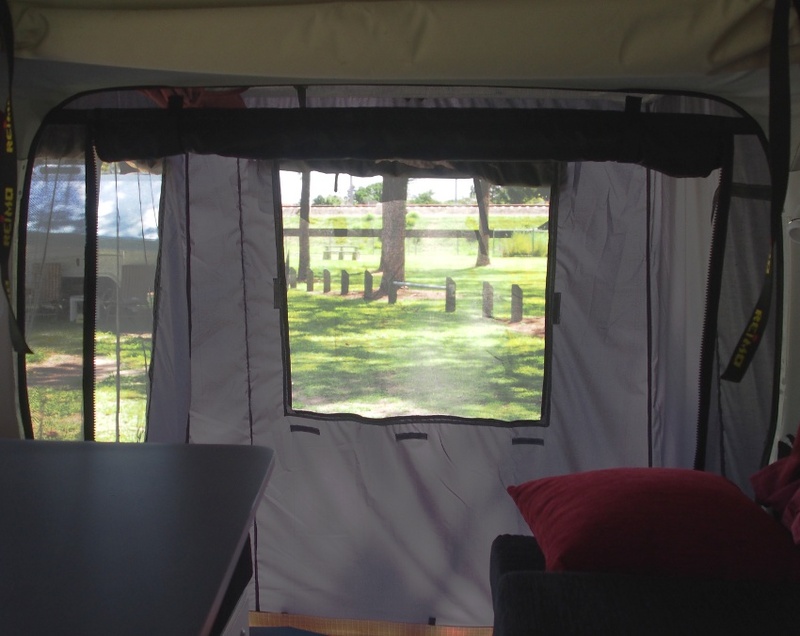 Our barn door annex can be set up easy enough and doesn't need to be pegged down in the ground. 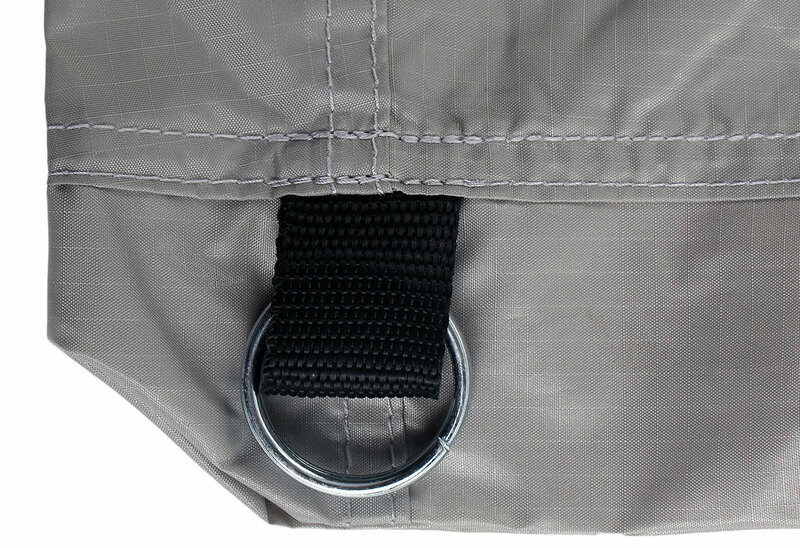 Mid grey/ dark grey colour scheme. 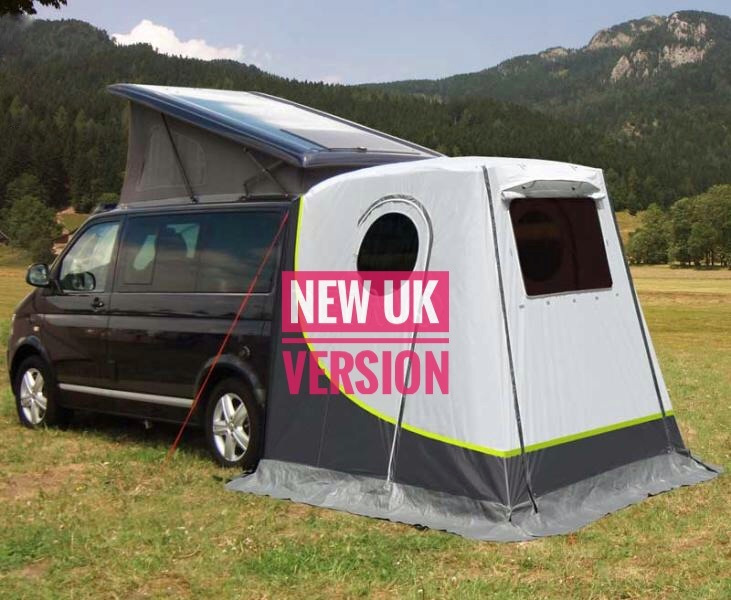 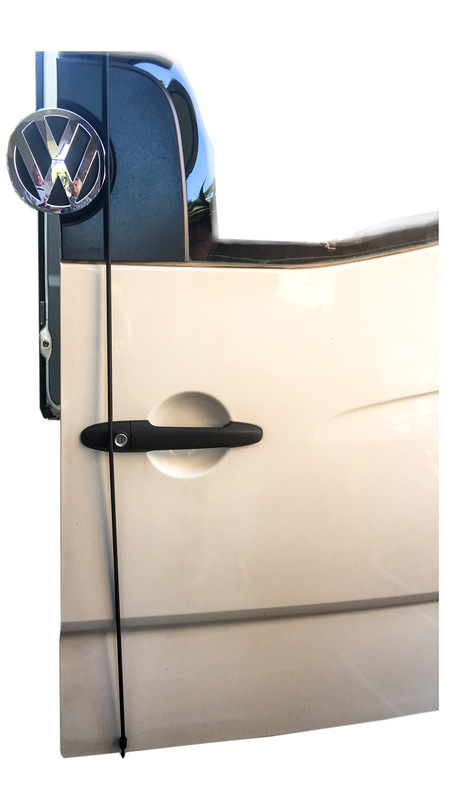 Will suit High-roof as well as mid roof VW and Mercedes barn door vans from 2006-2018 May not fit to vans with rear camera's- please contact us first. 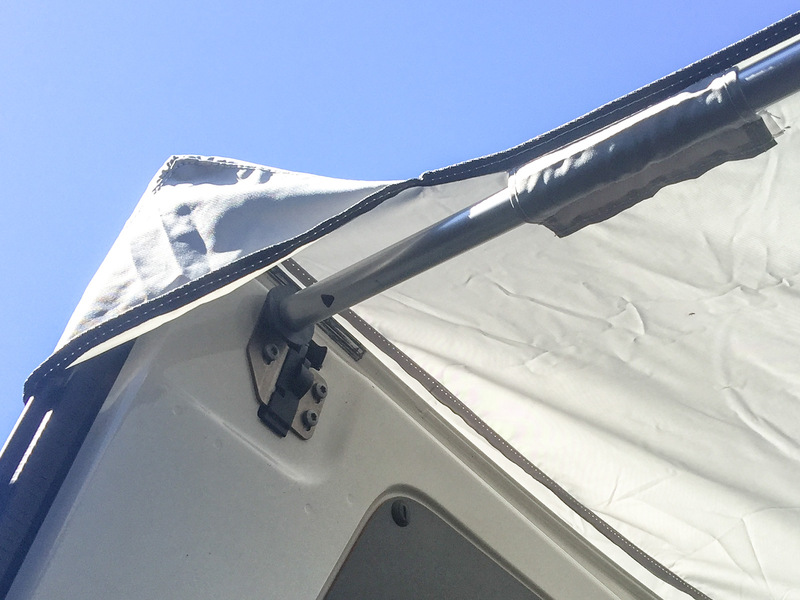 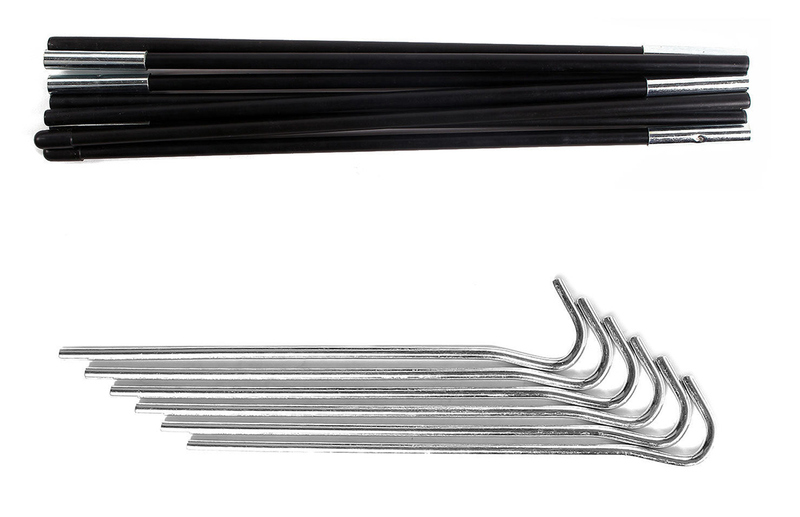 Complete with lightweight Alu cross bar and set of hooks for the roof. 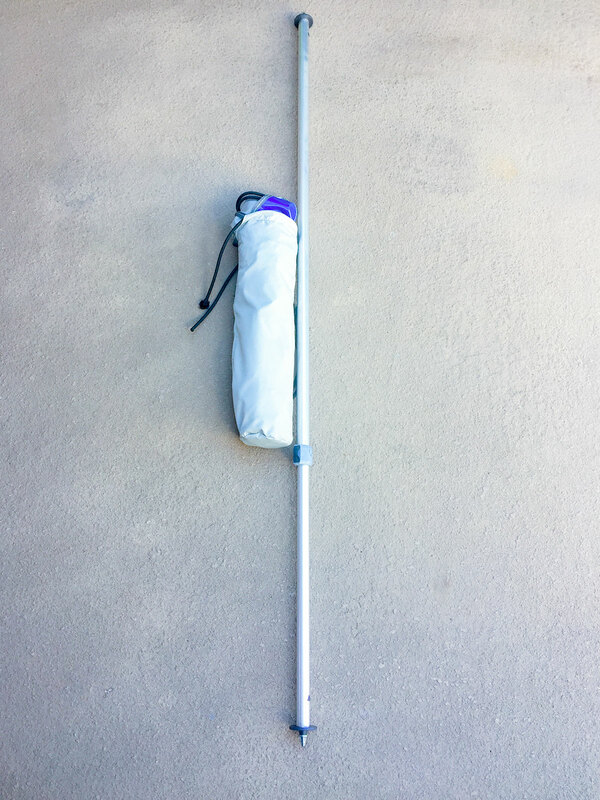 Coming in it's own storage bag. 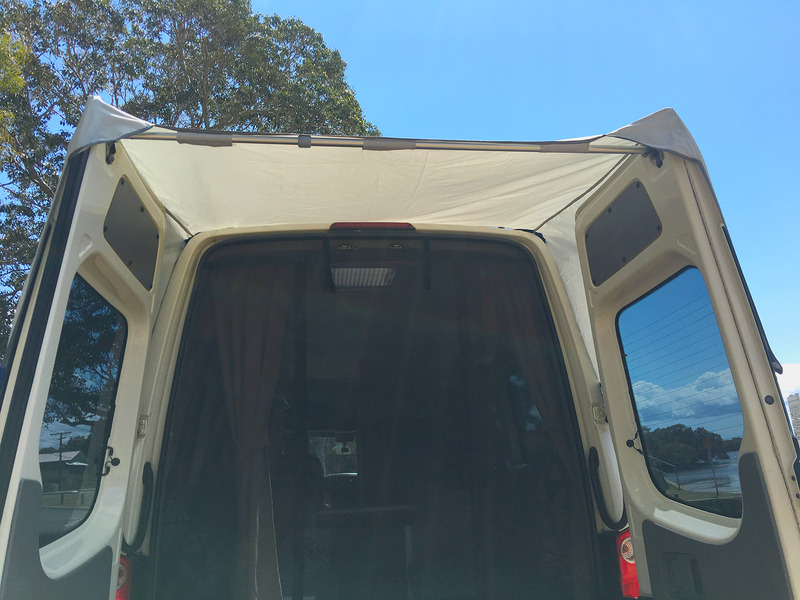 Made in Australia 1-2 weeks delivery time!! 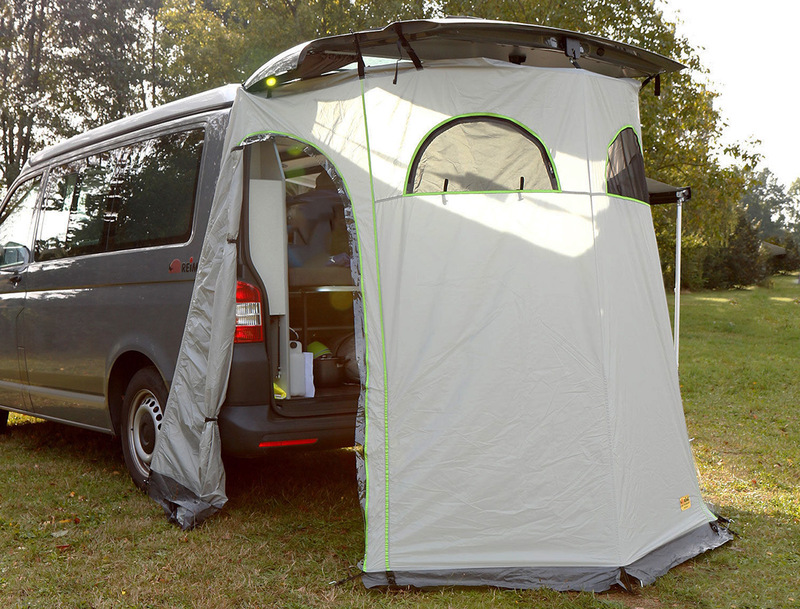 In case you have a not listed van, or you are after a custom designed tent- please use the form below. 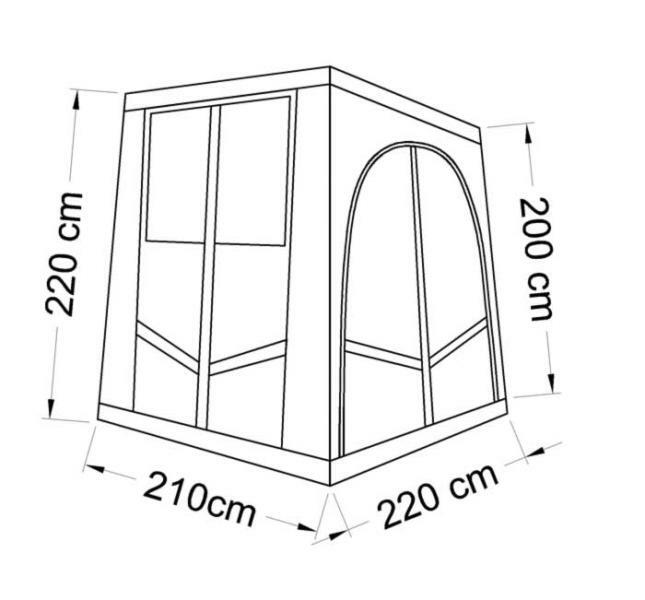 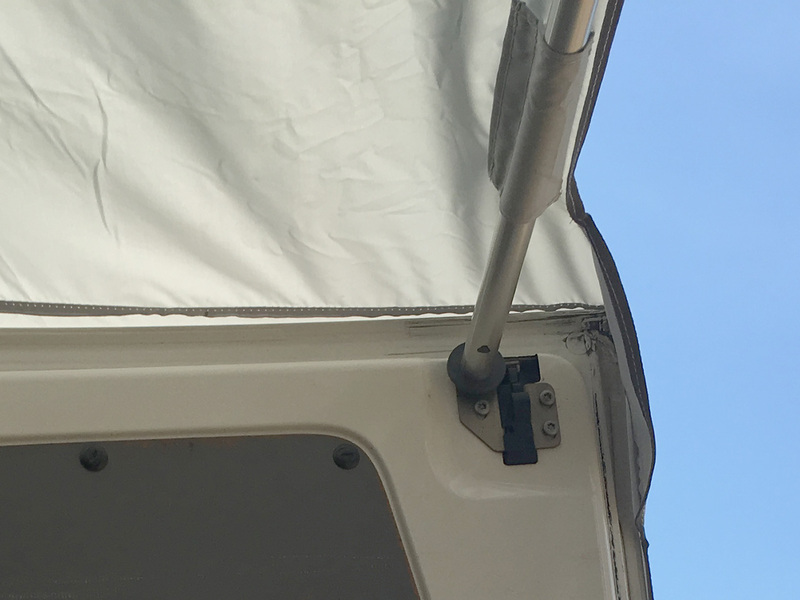 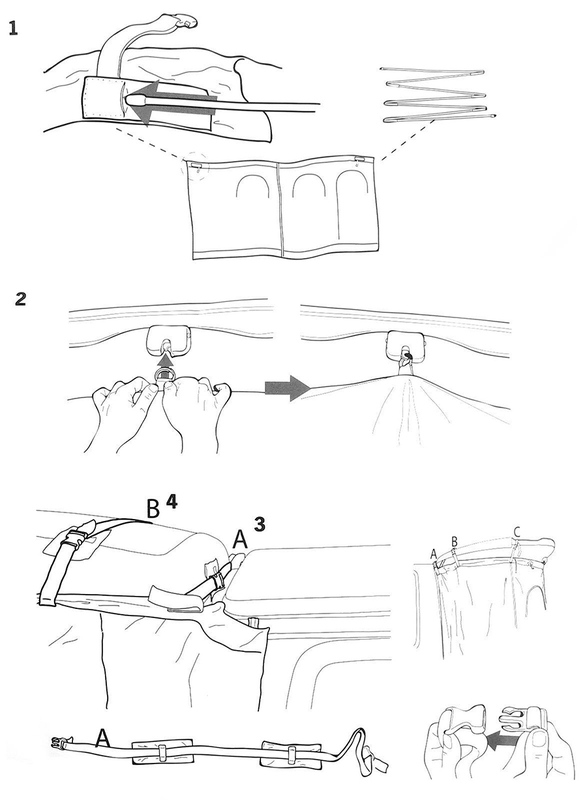 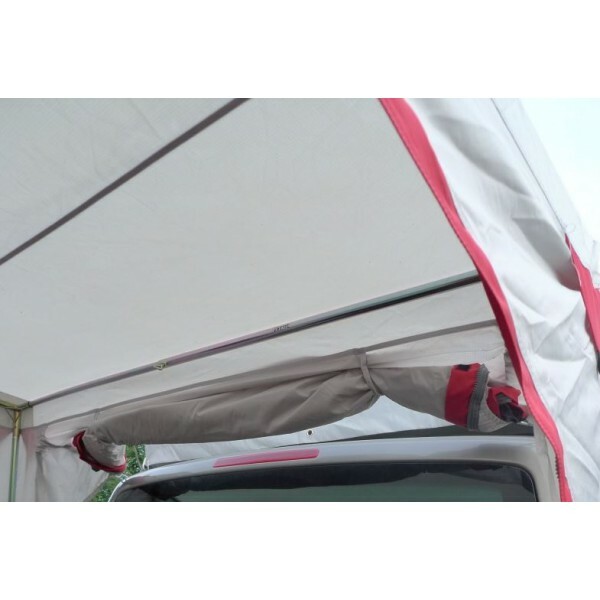 We also can offer fly screen annexes for various vehicles and Dometic or Fiamma awnings.